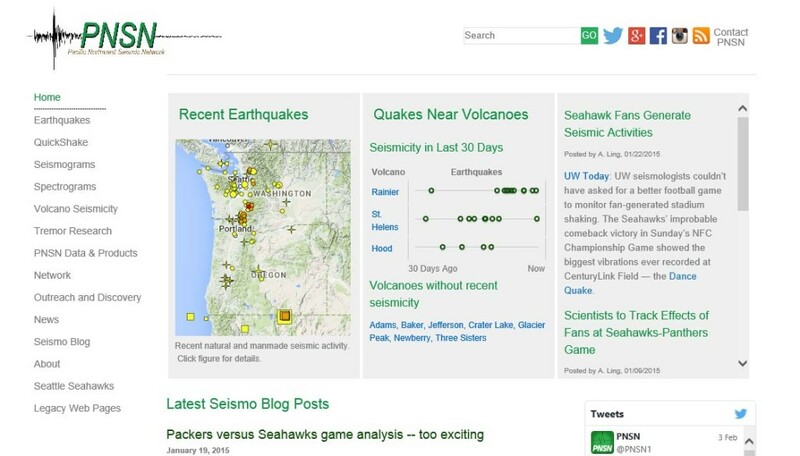 The Pacific Northwest Seismic Network site was another fantastic project for us. Our primary role was to provide a site design (via redlines) that their technical team would turn into a series of site templates. The site needed to be designed with a broad user base in mind as well as being very “light” pages for the quickest page load during heavy use times. User experience was a primary focus as the information on the site is consumed by a rather large audience. Between the design of “light” pages that would quickly load and an easy to use interface, this project was a hit. We recommend checking out the site as there is some pretty interesting research being done.